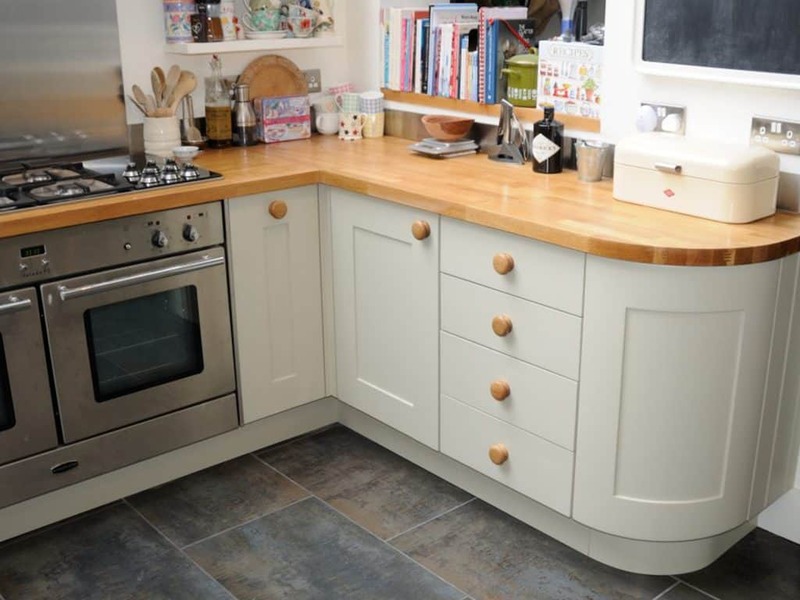 Our client in Winchester had a strong vision of how she wanted her new kitchen to look and function. As a keen cook, it was important that the layout was right for her. We therefore worked closely together and interpreted her ideas. We moved the sink, dishwasher and cooker to new positions. This created a more practical and sociable working space, close to the dining area. Along the wall where the cooker had been, we fitted full length cupboards. These provided the room with much needed storage. 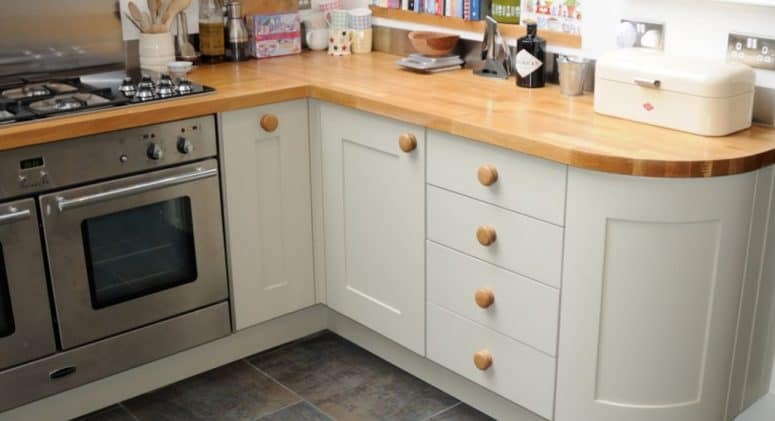 We made a classic Shaker style kitchen, with a “push to open” catch on the curved corner cupboard. The wooden kitchen floor was removed and we installed underfloor heating before tiling it to match the conservatory floor. We hope you agree that this is a great “cook’s kitchen”, with the very best use made of the available space. "the best designed kitchen is a kitchen designed by you"